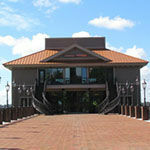 Extending over Lake Dora, Tavares Pavilion on the Lake features two floors of dedicated event space. Featuring an ornate, picturesque staircase, the island feel, antique interior is perfect for any wedding or special event. 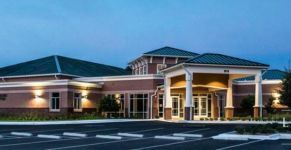 Southern mansion style facility with amazing rotunda, large modern ballroom and beautiful furnishings. Facility is on a beautiful lake and has outdoor trellises where you can have a ceremony or cocktail hour. 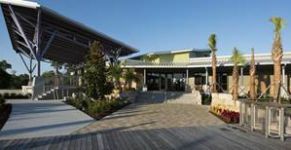 Authentic Key West Style outdoor facility with huge event pavilion. On beautiful Lake Bryan with opportunity for boat arrival for bridal party or special guests. If you love the idea of an outdoor lake reception, then this is your place. 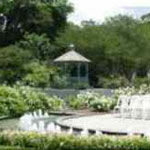 Best outdoor ceremony location with several location options to choose from. The Camellia Reception Room has a distinctive garden feel in earth tones. Morning/afternoon or evening events available. As a unique, urban winery, the Quantum Leap Winery setting is ideal for private events both large and small. There is a stunning wine room to host a private dinner for up to 26 guests. Host an unforgettable celebration or meeting with Orlando Science Center. Conveniently located downtown, Orlando Science Center has 200,000 square feet of dynamic exhibit and event space. From corporate meetings to weddings, guests will be dazzled by interactive science exhibits and breathtaking views of the Orlando skyline. Central Florida’s most exquisite event setting, the Art & History Museums in Maitland offers four unique rental spaces that are perfectly suited for creating memorable occasions for your next special event. This premier corporate and social event venue provides an ideal location for business meetings, weddings, receptions, banquets, parties and retreats. It can host meetings from 1-50 attendees all the way up to larger events with theatre style seating for 750. 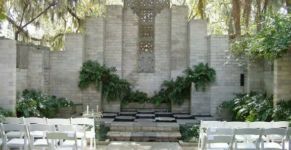 The Garden Villa at Florida Federation of Garden Clubs offers an event space with indoor and outdoor areas to accommodate up to 100 wedding guests. 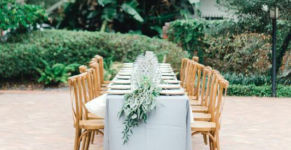 Their expansive lawn, breathtaking garden and wedding patio with arbor provides a spectacular setting for outdoor ceremonies and cocktail hours. 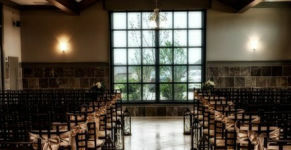 The cultural center includes a grand ballroom, large amphitheater, outdoor patio and beautiful views overlooking Center Lake, which provides the ideal location for weddings, receptions, banquets, parties retreats and performances. 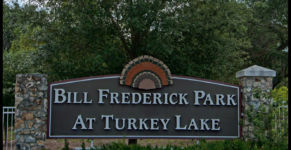 Covering 183 acres of land alongside Turkey Lake, this park is designed for nature lovers and provides families, organizations and community groups with several recreational activities, scenic views and the perfect place to host your event. 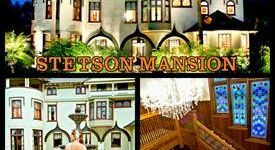 You and your guests will have exclusive enjoyment of The Stetson Mansion Estate on your wedding day. All buildings and interiors have been restored and updated with a fresh style that appreciates the present and respects the past. The Stetson Mansion is a National Historic Place. Located in St. 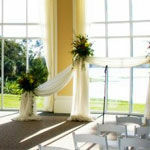 Cloud, the Marina Banquet Hall boasts a stunning view over East Lake Tohopekaliga. With wall-to-wall windows, beautiful wood floors, and tables with upholstered neutral chairs included, this is a venue sure to impress. Stunning facility in the Sanctuary building. Amazing lighting systems to transform the mood of the event to your desire. Includes tables and chivari chairs – only facility in Orlando to include chivari chairs! Unique club style venue with very cool marquee to announce your event. Included black chivari chairs. The Abbey is associated with The Mezz and is a great place to have your wedding ceremony. Several rooms to choose from over four floors. Great to have a ceremony, cocktail hour and reception in different rooms of the museum. The old courtroom offers a very unique place to have a ceremony or cocktail hour. Upon entrance, the Mediterranean inspired architecture and beautifully landscaped walkways receive your guests in grand style. 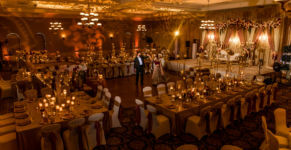 Once inside, guests can mingle in the upscale foyer before entering one of the most elegantly appointed ballrooms available in Central Florida. They offer two areas for ceremonies: a beautiful new 9,600-square-foot outdoor pavilion with Greek columns, as well as an indoor area that can accommodate up to 150 guests. NOAH’S is a classically beautiful event venue that was built with you in mind. 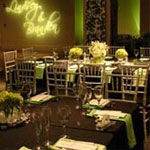 At NOAH’S, we understand that every client has their own style, budget and vision for their event. NOAH’S provides all of the event essentials for your day as well as the flexibility and tools to make the event of your dreams a reality. We have a variety of spaces for ceremony and reception as well as a Bride’s/Dressing Room and Groom’s/Game Room to make your day memorable from start to finish. 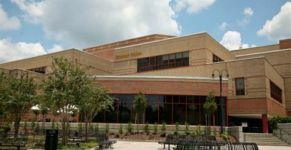 The UCF Student Union offers over 26,000 square feet of meeting and event space, with the ability to host various campus events, seminars, conferences, banquets and various other functions.